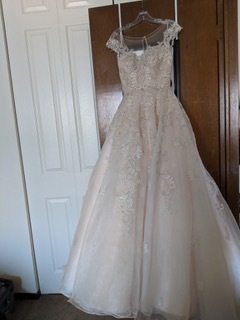 This gown is so unique in its Blush color with beautiful back detail with beaded lace motifs and crystal buttons on illusion tulle moving into a sweep train. 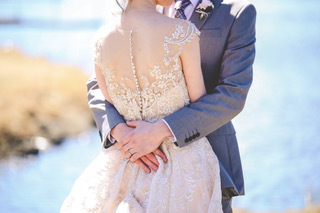 Your guests will be in awe of you in this fairytale-like princess ball gown. 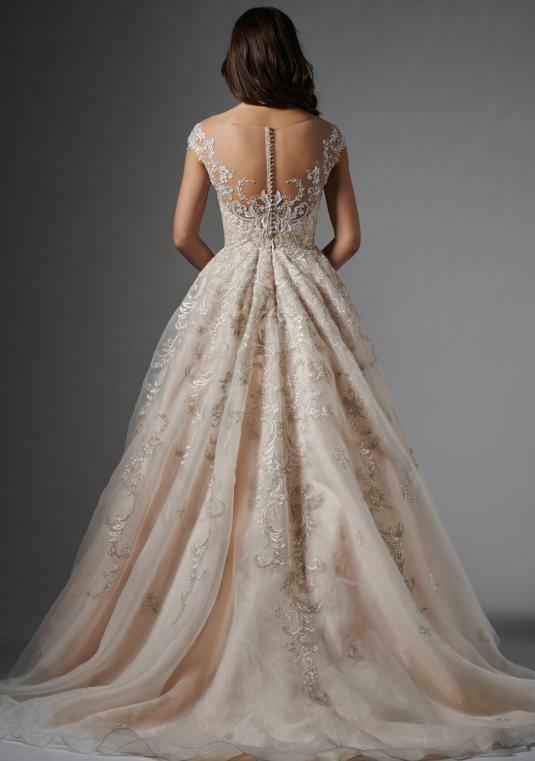 The neckline uses illusion tulle and off-the-shoulder straps. 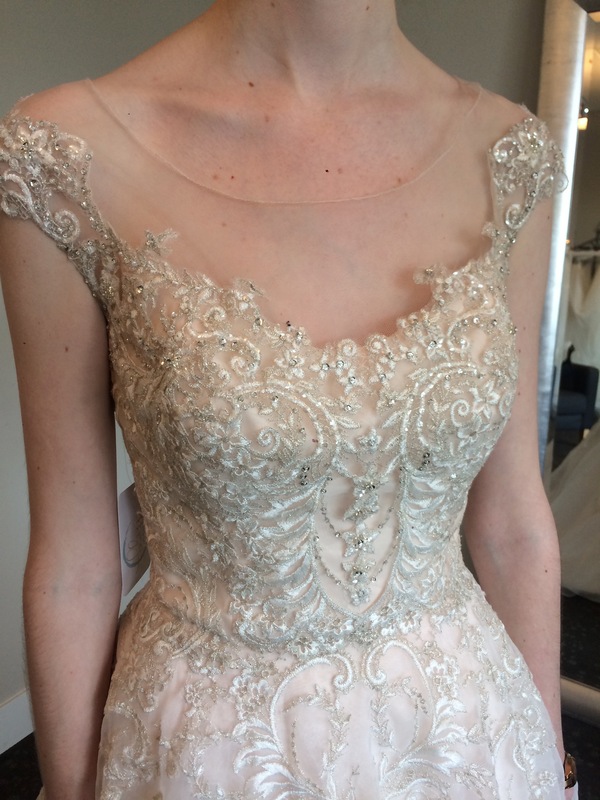 Fabric includes: illusion tulle, unbeaded lace motif, matte organza, tulle, poly lining, and crystal buttons. 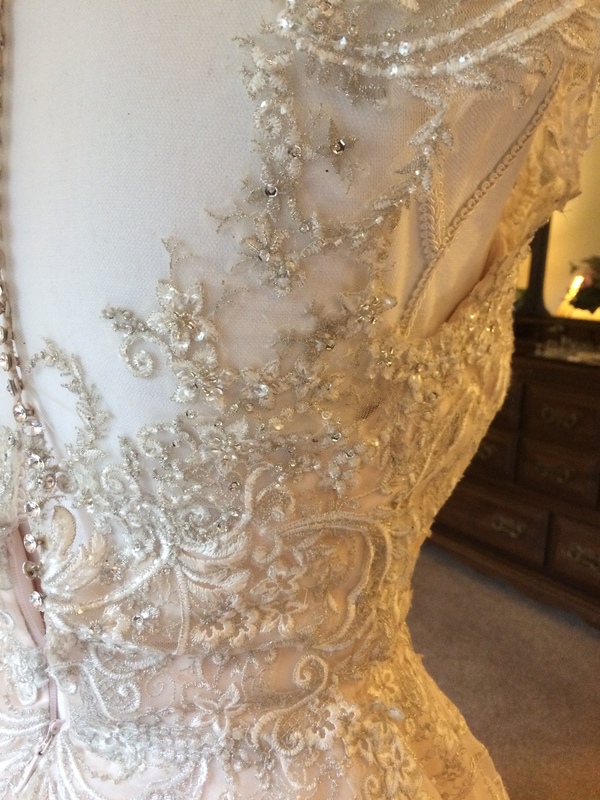 B/C cups are sewn into the bodice professionally. A bustle was placed using hooks in a motif in the train and clasping under the zipper. 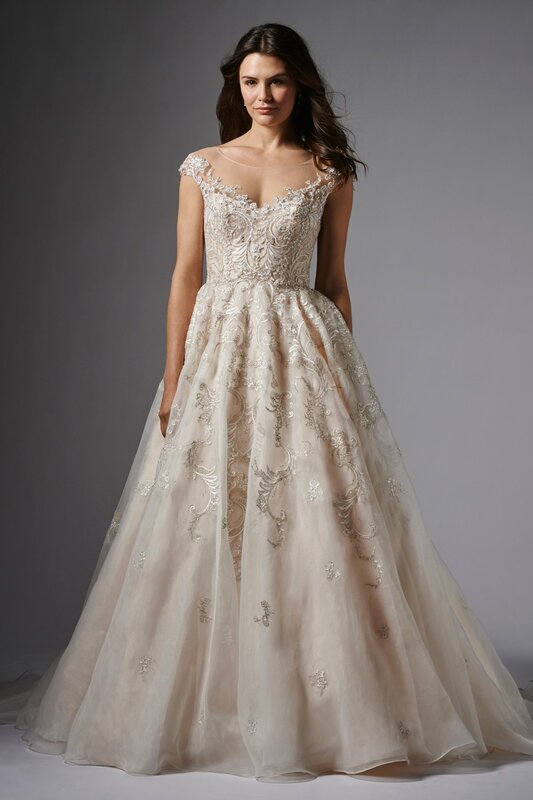 The length of the dress has never been altered and is the full length available. Only worn once and in excellent condition (no pets or smoke). Only steaming would be necessary to bring it to its full glory again, unless additional alterations are needed. 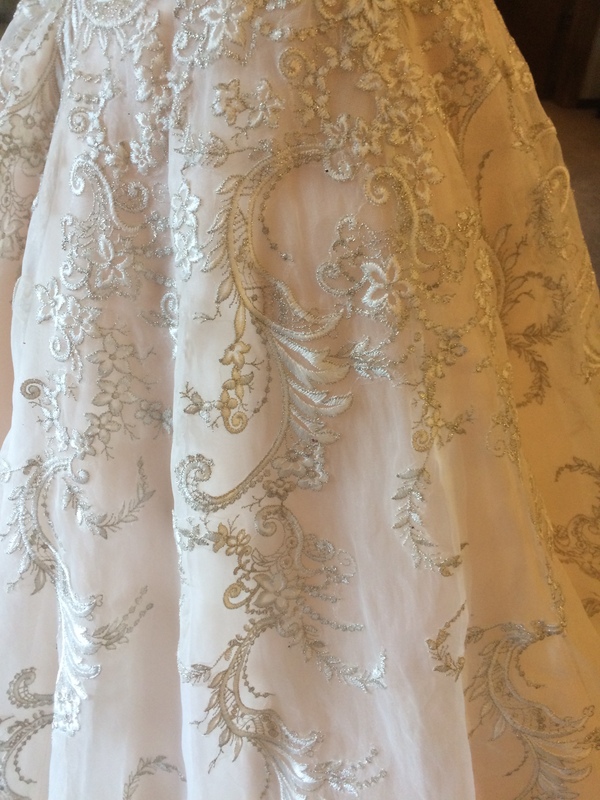 Look no further if you are truly looking for something extraordinary and elegant. Preservation Method: Cleaned, treated, pressed, and preserved in box using acid-free tissue. With insurance through the preservation company. 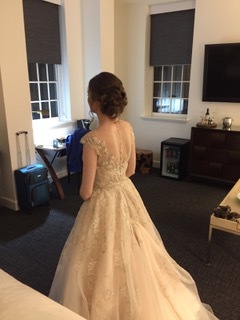 Favorite memory in dress: The look on my husbands face when he first saw me in this dress.